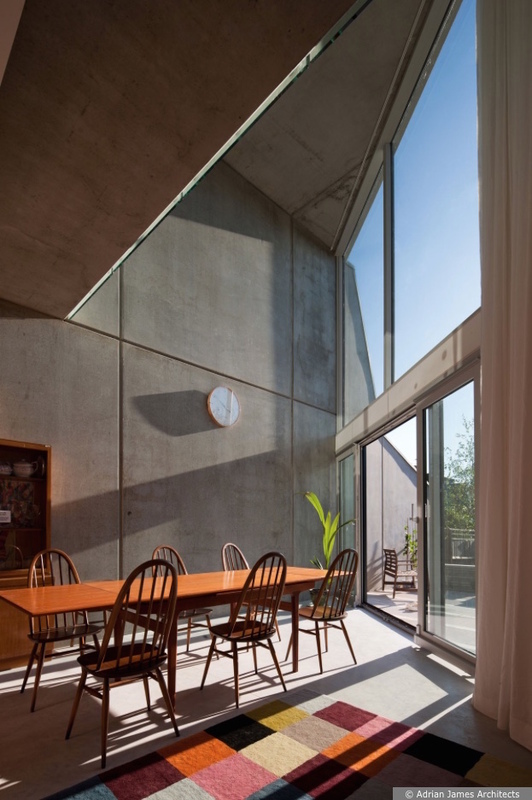 Terraced house in concrete (Adrian James, 2011). 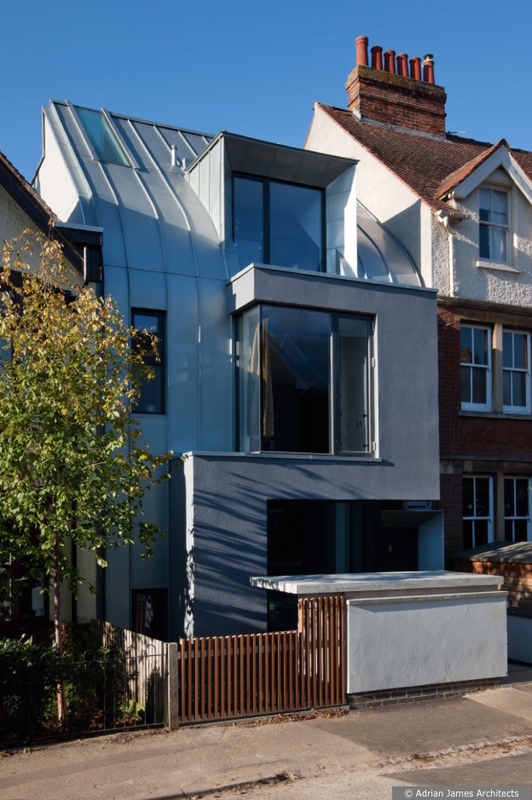 A terraced house on three floors constructed from prefabricated precast concrete panels is a rare find in Oxford, the more so when it is designed and built to the exceptional quality achieved here. The architect explains that his client “appreciated the uncompromising ascetic quality of the material”, and the large areas of polished concrete uncluttered by services deliver that in abundance. A central core contains all the circulation and service ducts, allowing light to flood the party walls from large front and back windows and a top-lit atrium. 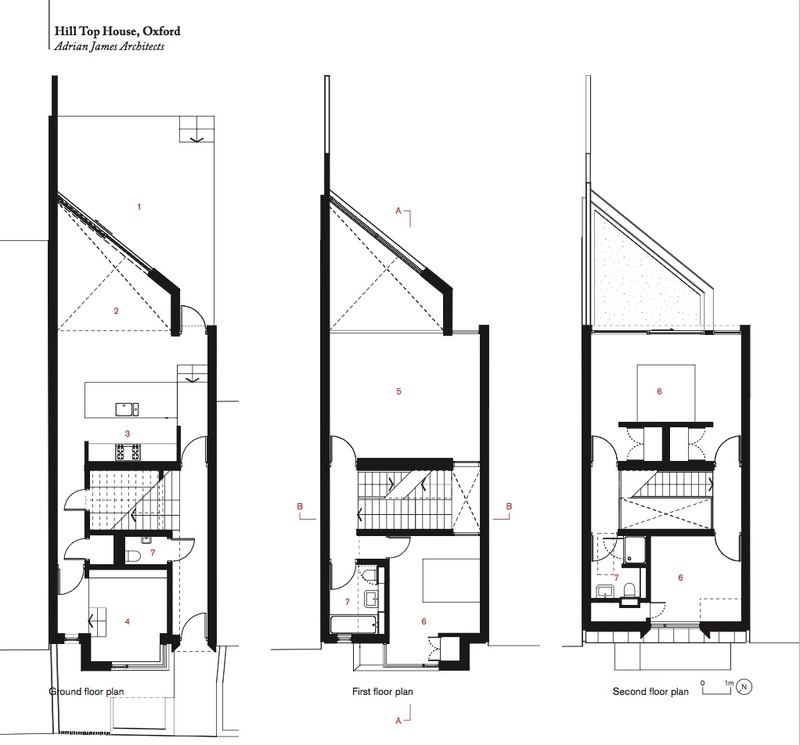 References: Adrian James, ‘Béton Beauty: why we chose a precast concrete prefabricated system for Hill Top House in Oxford’, AJ, 3 May 2012, pp. 43-48.